This braider is similar to the traditional Japanese Kumihimo braider. The main structure of the tool is a wood base with two dowels holding up a smaller piece of wood. 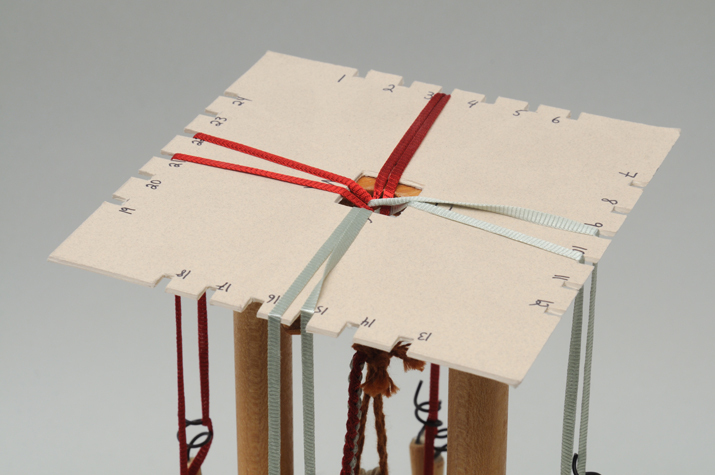 A mat board template, with numbered notches, sits on top and braid is worked by moving the threads or ribbons in a set way around the notches. 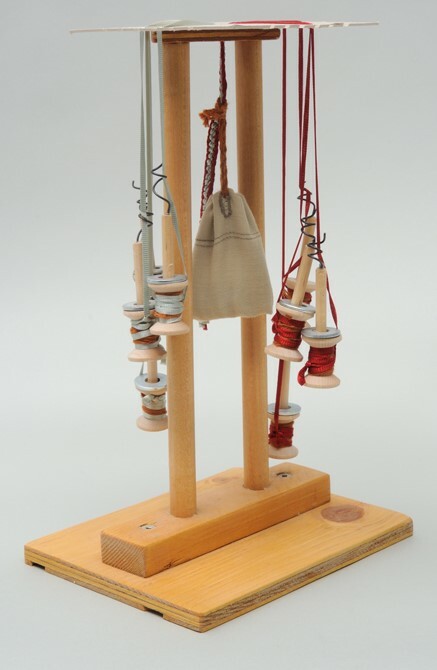 The braider is set up with 8 bobbins and a partially finished braid.